Okay...I currently have so many going on, I felt like I needed to consolidate! With Waterproof's release...you can win a copy via Goodreads giveaway (paperbacks!) 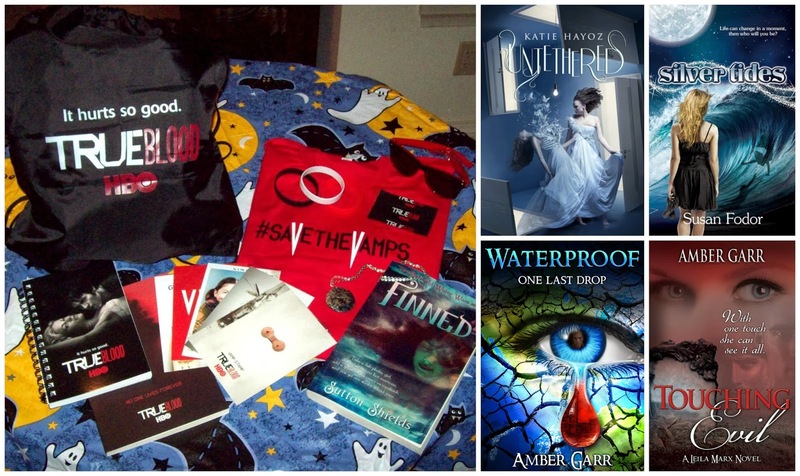 or The Mystical Muse Book Tour giveaway with Waterproof and a whole lot of other fund stuff. Both of these are open until October 11th. 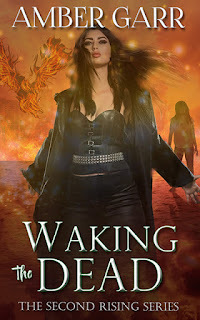 Enter the Goodreads Giveaway HERE. Enter the Mystical Muse Book Tour Giveaway HERE. * GORGEOUS paua shell reader-made necklace inspired by the one Troy Tombolo gives Marina Valentine in FINNED. 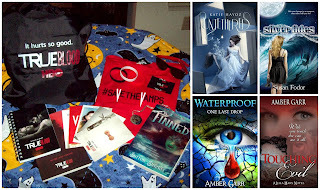 -1 True Blood red 'Save the Vamps' t-shirt, size L.
-1 True Blood 'It hurts so good' tote bag/backback type bag (NOTE: In the picture, it is filled with bubble wrap so you can see the shape/size more clearly. It will be shipped flat). -3 rubber bracelets--red, white, and black with 'Save the Vamps' on them.